A free online course "Beyond Silicon Valley: Growing Entrepreneurship in Transitioning Economies" launched through Coursera in April, using Cleveland as a funding case study. Come back to Entrepreneur.com as we feature additional interviews with experts and instructors connected to the six-week course. For more in the series, check out Think Like Cleveland. It never hurts to close a deal over a drink. Tom Lix certainly had that going for him when he was seeking funding for his company, Cleveland Whiskey. In 2009, he was experimenting with whiskey aging methods in the basement of his Cleveland home. The process would allow him to age high-proof whiskey in a matter of days rather than years. Still, even this professor of entrepreneurship at Lake Erie College knew that angel investors wouldn't give him a dime until he built his credibility and got funds elsewhere. The steps he took eventually helped Cleveland Whiskey raise more than a million dollars from public, private and angel investors. After it finally launched in 2013, the company sold nearly 50,000 bottles of whiskey in ten months, earning about $1-million in revenue. If you're looking to prime your business for angel investors, here are Lix’s lessons learned. Start small. For initial funding, Lix put his name in the running for a $25,000 grant from the Lorain County Community College Innovation Fund, a pre-seed funding program that uses government and private funding to support early-stage, technology-based businesses. The grant made it possible for Lix to relocate to a laboratory housed at a manufacturing incubator, a move that not only gave him a controlled testing environment, but also provided access to in-house engineers whose expertise he could use. To secure this first round of funding, Lix conducted thorough market research. 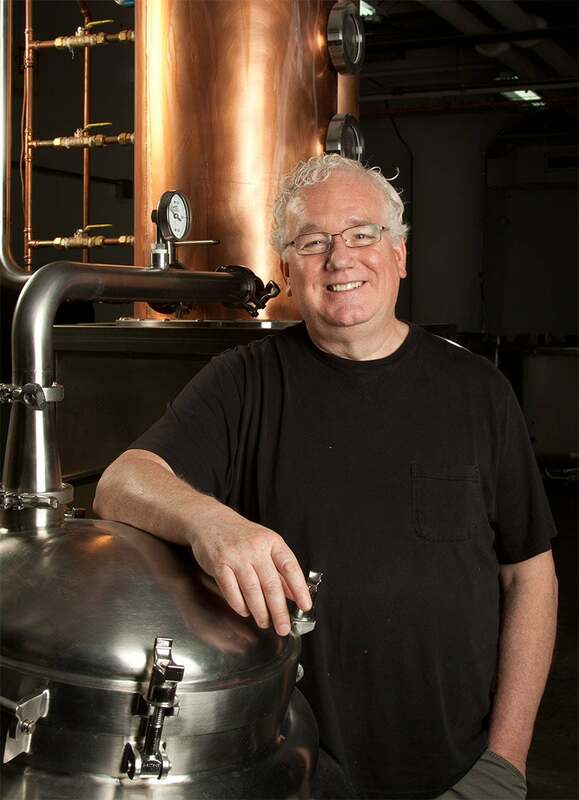 His business plan included interviews with large and small distilleries, retailers and distributors. Lix was able to talk about how he planned to go to market as well as the growth potential and cost of acquiring a customer – all of which made him an appealing candidate in the eyes of funders. "We have a lot of entrepreneurs who don’t have a great grasp of how they are going to go to market and raise capital," says Dennis Cocco, co-director of Great Lakes Innovation & Development Enterprise, who was involved in selecting Cleveland Whiskey to receive the pre-seed funding. "Tom having that experience made a great deal of difference." Build a track record. Once he got his first round of funding, Lix was careful to prove himself to investors every step of the way. He created a timeline and budget that outlined exactly what he would accomplish with the money he was given. He used the money to build a lab and go through a set of planned experiments to produce a prototype. Using the money wisely and doing what he said he would enabled him to get a second round of funding (a $100,000 low-interest loan) from the original funders. After he could test and iterate his product, Lix focused on raising the funds that would allow him to build equipment used in the manufacturing process. Between 2010 and 2012 he sought funding from a variety of community-based government-funded programs, eventually raising more than a quarter of a million dollars in both grants and loans. These state and local funds helped angel investors take notice later. Product (and process) is still paramount. According to Lix, whiskey is a $25-billion world-wide market, with increasing demand from a rapidly-growing middle class in countries across the globe. But the spirit’s traditional aging process prevents it from keeping up with demand. To entice investors, Lix explained how his new technology could allow whiskey to ramp up production like the makers of other status symbols like cars and computers. His "pressure aging" method involves putting measured pieces of oak into pressurized stainless steel tanks, speeding up the aging process from a number of years to as little as a few days. Investors saw that this technology gave Cleveland Whiskey an advantage other players didn’t have. Seek investors whose opinions you respect. To take his idea from prototype to production, Lix would need angel investors, not just for money – for advice. "I was really looking for people who would add value to the company," he says. "I didn't want people to just sit on the sidelines." Lix reached out to the entrepreneurs who mentored students at the Center For Entrepreneurship at Lake Erie College where he was serving as director. The investors offered experience in operations and finance that could help Lix better scale his business. "They were the types of people I would go to for advice even before I would go to them for money," he says. These angel investors were involved in discussions about product launches, the annual budget and spending decisions, often on a daily basis. "Sometimes one of the hardest things to do is to listen and take advice, but it's important. You have to be able to do that," says Lix. "You have to be able to accept ideas that sometimes are better than your own." This attitude was part of what won his investors over in the first place. "That’s one of the things that drew us to Tom," says Jake Crocker, currently the company’s chief financial officer. "He was very open to advice and working with us."